Family, friends and colleagues assembled recently at a morning tea in the Law School to remember the life of Helen Wighton, a staff member, who passed away a year ago. 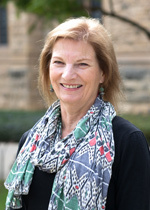 Helen was a Senior Lecturer in Law Reform at the University and the Deputy Director of the South Australian Law Reform Institute. In honouring her memory, the Dean of the Adelaide Law School, Professor John Williams has established a prize for meritorious performance in Law Reform studies – a final year elective offered, by invitation, to the top cohort of Law students each year. The morning tea was an informal occasion which brought colleagues and Helen’s family together. Those who knew Helen remember her commitment to her work; her passion for justice and a belief that the rule of law could make a difference to the lives of the marginalised in the community. She was a person of vitality, humanity and enormous energy, Professor Williams said at the launch. Her work for the SALRI saw her undertake research into proposed legislative changes and the compilation of reports for submission to the SALRI Advisory Board, and subsequently the Attorney-General’s Department. As the Director of the SALRI, Professor Williams worked closely with Helen, saying her appointment to the SALRI was a godsend. She would however, he said, be bemused at our desire to pause and reflect on her, as she did not seek the limelight. 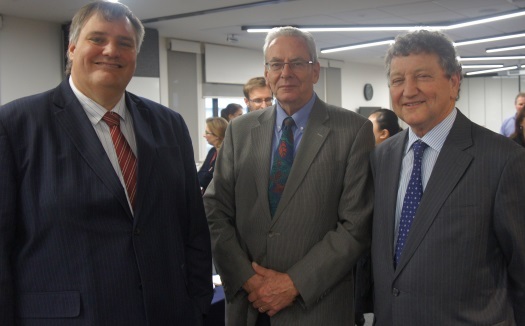 Other members of the LRI who attended the launch included the Honourable David Bleby QC and the Honourable Justice Tom Gray. 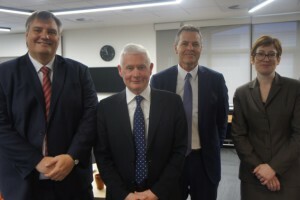 Prior to joining the University, Helen worked for many years in the Legislative Services Unit at the AGD, with many of her former colleagues including the Attorney-General, the Honourable John Rau attending the launch. In his tribute to Helen, the Attorney-General reaffirmed Professor Williams’ comments that Helen had the finest traits of a government lawyer; she was ethical, principled and questioning. And in support of the Prize Fund, he stated that his department had committed $5,000. Helen’s family, including her sons George and Nat and sister, Henrietta all attended the morning tea. 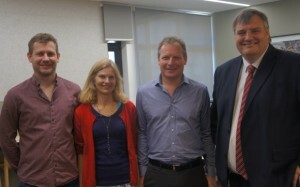 Professor Williams warmly welcomed them, saying how nice it was they could be there for the occasion. He reflected on Helen’s wicked sense of humour, her infectious laugh and her prestigious memory. She was he said, a person who enlarged life and with whom they had the honour of sharing their working lives. For those wishing to contribute to Helen’s prize, keeping alive her memory, Professor Williams invited them to contact Mr James Litt in the University’s Engagement Branch. This entry was posted in Research, Society & Ethics and tagged Helen Wighton, Honourable David Bleby QC, Honourable Justice Tom Gray, South Australian Law Reform Institute (SALRI). Bookmark the permalink.